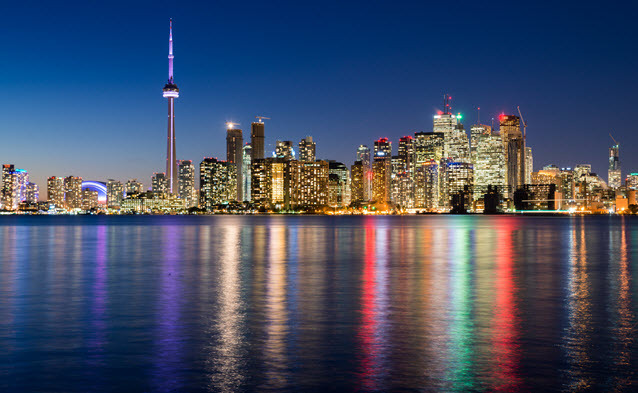 If you are a first-time home buyer looking for the right price on a home in Canada, the real estate market in most metropolitan areas continues to be priced in such a way that it remains affordable to those making an average wage or above. The resiliency of the market place over the past several years combined with a fairly good economy have created the type of environment that should encourage you to participate by buying. Although the population of Canada is not much larger than the entire city of Tokyo, almost a quarter million people immigrate and want to buy homes each year. When you add that to the native demand from people that grow up locally and would like to buy, you end up with a prettty robust market. In contrast to the United States market, the focus of the Canadian government in the loan market is to ensure that Canadian citizens are ready to buy a home and know that it will fit their long term lifestyle. That emphasis on ensuring that you have the confidence to buy before you do normally means that Canadians are able to make better decisions. Most loans that are chosen are fixed in nature. The standard loan is a down payment of 20 percent with a 25 year payback period. You can pay a little extra and get add-ons that bring your interest rate down and or make part of the terms of the loan that you sign more attractive. If you don't go with a fixed loan, you can also choose from 5 year adjustable rate mortgages that give you a low rate like 2 percent interest for five years before a higher rate is locked in. One piece of advice that most mortgage brokers will provide you with is that if you do get an adjustable rate mortgage, you should always shop the current interest rate before you let it lock in at a higher fixed rate because you might find that refinancing at a long term fixed rate ends up being cheaper than what you are locked into. Fixed rate financing is a good way to go when you plan to stay in your home for an extended period of time & the rate is reasonable. In most cases, the only time that the market sees a problem in either fixed or variable rate plans is when the mortgage rate rises quickly. In the 1980s in Canada, some people were left high and dry when interest rates on some loans went up to around 16 to 18 percent. At that rate, they are paying almost the same financing charge that the average person pays on their credit card. Not the best use of funds unless you absolutely need the space. Alternatively, if you think that your house is going to appreciate in equity and you do not plan to stay there a long time, you might get an adjustable rate mortgage because you can pay less and sell the home before the rate goes up. One of the most exciting things about getting an adjustable rate loan is that if you need to remodel your home because you purchased a project, the lower upfront payments will leave more money each month than you would have with a fixed rate. That can help increase the value of the home, which could later make it easier to get approved rolling the loan into a longer-term fixed rate mortgage. The Canadian government has a couple of major incentives for first-time home buyers. The first incentive is a tax credit for home buyers that qualify. It doesn't take that much to qualify and your real estate agent can normally ensure that you are qualified before you go out and start putting bids on homes. Depending upon how much you qualify for, you can impact the amount of the loan you may need to purchase a property. There is also a program which provides tax credits to disabled people. Who can help you in the mortgage market? There are many lenders in Canada serving the mortgage market: banks, other large financial institutions & mortgage brokers. Most mortgage brokers in your town or city have access to a broad range of local & nationwide lenders. A good mortgage broker is normally able to put you into a program at a competitive rate. Banks like the Bank of Nova Scotia are national and can also provide immediate financing for your loans. In practice, however, most buyers end up pre-qualifying with a bank or a realty institution through their real estate agent or mortgage broker. In that process, your needs and requirements are taken into consideration and matched with a lender that can provide the best service for you. In other words, you may end up with a completely different bank holding your paper than when you started. As long as the loan is backed and it meets your terms, you should feel confident in signing it. 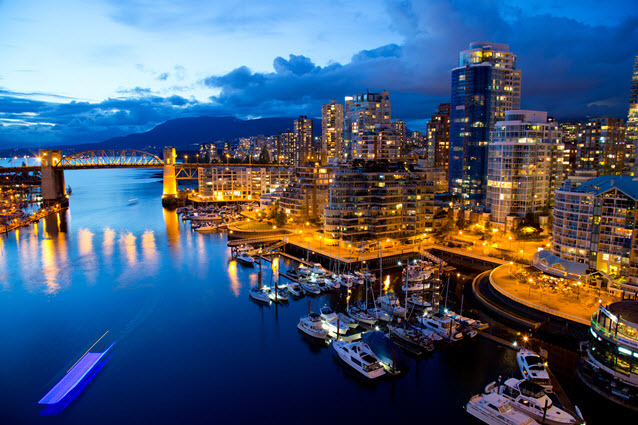 Vancouver is one of the most beautiful cities in North America. Its continued development as a major hub on the Pacific rim causes it to be a magnet for investment from Asian countries. Originally, it was thought that Hong Kong Chinese would settle there and there would be little else going on from Asia. Instead, the growth that the city experienced attracted others from many different countries, keeping the real estate market strong. Toronto, of course is another perennial market champion in most of its downtown areas. The allure, of course, is that financially most businesses that are national keep some form of office here because the infrastructure provides so many advantages. Fortunately, there is still plenty of land in the suburbs, allowing people to continue to build the home of their dreams when a new development opportunity presents itself. Ten years ago, there was a terrible problem with people getting overextended & defaulting on loans. The problem was that low variable interest rate loans fueled speculators that got burned when the rates increased as they tried to roll into a fixed rate. The ugly truth for those people was that they either ended up doing a short sale or having their homes foreclosed upon because in many housing markets the price of homes shaply declined. Today, when your home value doesn't match your loan, you are considered to be under water. If you owe more than your home is worth because it dropped in value and you have a variable rate loan, you will not be able to roll it to a fixed rate loan, leaving you with a sad decision to make. Fortunately, while select cities like Toronto & Vancouver have ran up in prices, most of the housing market in Canada rarely contains bubbles. If you focus on getting the best fixed rate loan that you can & don't chase prices in the few core hot markets, you will likely never experience the type of trouble that people had during that time period. If you are unsure if you are running ahead of yourself, check out Garth Turner's Greater Fool blog, which details some of the recent astromical home price rises seen in parts of Vancouver & Toronto, along with the justifications people make while over-extending themselves. Qualifying for a home in Canada can be an exciting process. Your agent and mortgage broker can pre-qualify and help you find the home of your dreams.